• Alleen aan het begin en einde van de route is een lage klifkust (10 - 20 m). 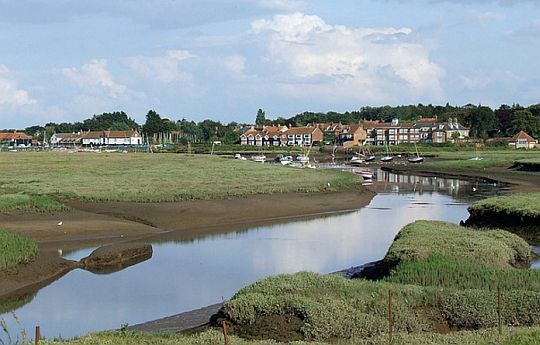 • many saltmarshes (= kwelders).riddled with creeks. • vast tracts of mudflats (wadden). .. largest seal colony in England and a tern colony. 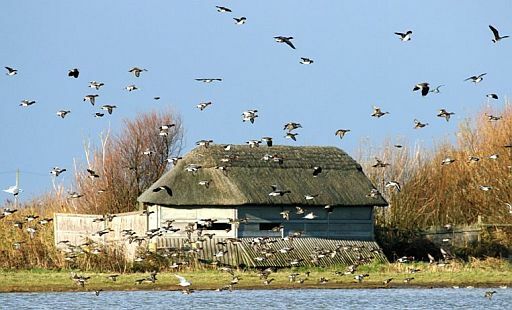 • some brackish lagoons and reedbeds ( rietvelden)..
......... Scolt Head Island NNR ( NNR = National Nature Reserve). ....... seals and terns. ... ..
.. small harbours are nowadays 'sea' at high tide, and mudflats at low. • Overy Creek and Burnham Overy Staithe. • Kliffen zijn er alleen bij het begin en het einde van de trektocht. .. brede stranden, duinen en langs een kilometerslange kiezelwal. • Bij de lage zeedijken loop je veelal over een breed pad boven op de kruin. 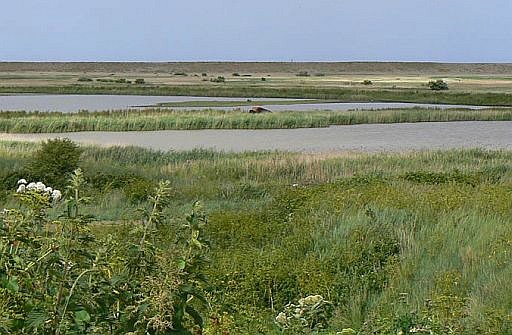 • De buitendijkse saltmarshes (= kwelders) zijn zéér gevarieerd. .. Nu eens zie je in de kwelder een bloemenzee, dan weer een brede kreek. .. molen. En overal vogels ( een verrekijker is een must ! ). • Standing on the sea wall ( zeedijk ) and looking to Wells-next-the-Sea. .. It only remains open because of repeated dredging (uitbaggeren). ...(= wad) at low tide. • The town is now a mile from the open water. .. and a small harbour. .. with loading gantry, which was built around 1905. • This granary has now been turned into luxury flats. • The town once boasted over a dozen granaries and maltings, but today only this one is left. • The quay is still used by some fishing boats that you can see unloading their catch. Beste periode: Juni, juli, augustus. Hier in Oost-Engeland regent het weinig (zie tabel). 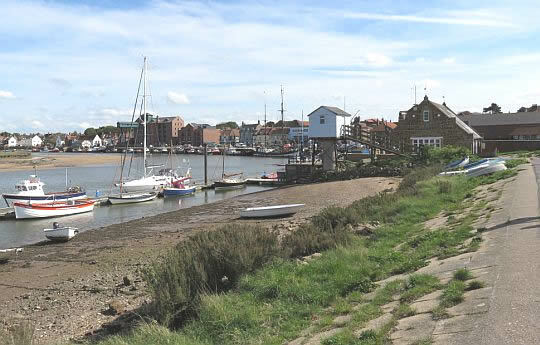 • Blakeney Quay is midden in de zomer een vrolijke boel. .. the harbour from the sea, but providing the perfect natural habitat for coastal wildlife. • Crabbing from the quayside is a popular pastime. ( Je ziet daar een aantal mensen zitten. .. windmill. It has been converted into a holiday home. Er zijn geen noemenswaardige hoogteverschillen en overal goede paden. De ultieme vogelkijkroute; denk aan verrekijker ! • Je wandelt door een aantal zéér vogelrijke natuurgebieden. .. them or the sand dunes. Zeer goed, zoals alle national trails . shingle bank (kiezelwal) is equally obvious. Simply keep the sea on your left all the way to Cromer. • Drinkwater: Er zijn voldoende dorpjes/huizen onderweg. maar veilig is om te stoppen. Zie: www.coasthopper.co.uk o.a. voor de timetables. 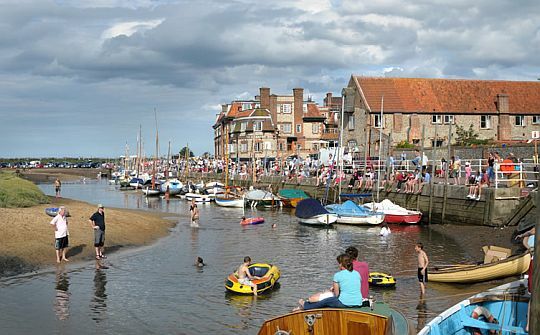 plaatsen zijn: Brancaster Staithe, Wells-next-the-Sea en Cley-next-the-Sea. Denk eraan dat je een tent meeneemt die behoorlijk windvast is. 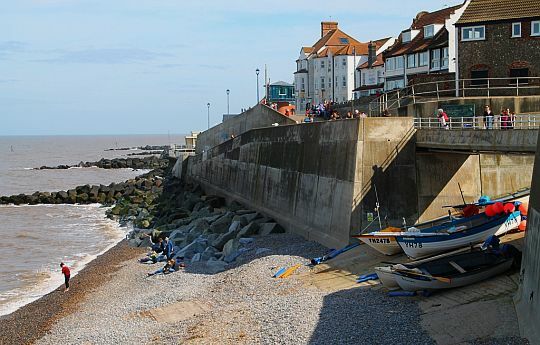 • Sheringham: shingle beach (kiezelstrand) and sea wall. • Fishing boats are drawn up on the beach below the promenade at Fishermen's Slope. 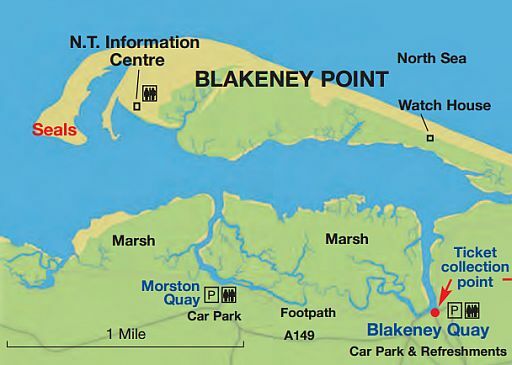 .. of the coastline and a seal population across the Blakeney Point NNR). • Mooie kustplaatsen, o.a. Brancaster, Wells en Cley. Een klein gedeelte van de route gaat over kliftoppen. het pad. Dit kan gevaarlijk zijn, indien de klif op die plaats ondermijnd is. Het overhangende gesteente zou dan kunnen afbreken en omlaagstorten. • beneden op het strand ook ver van de voet van de klif. .. the splendid Boston Square. .. Sandringham Estate, the country retreat of The Queen. .. Georgian buildings, narrow streets and golden, sandy beaches. .. the seals and tern colony at Blakeney Point. .. Then have a picnic and walk back along the beach to Cley. .. and Life Boat Museum. .. seafront, make it a great choice for an extra night. 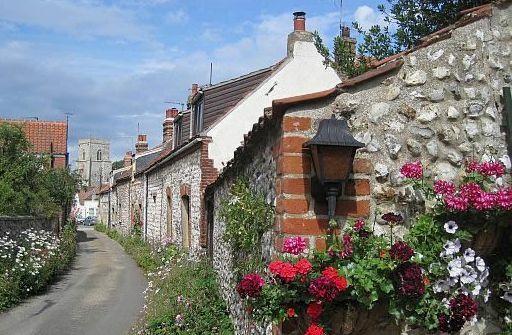 • For a longer walk, there’s a new extension from Cromer to Sea Palling. • Cromer, the view west with a caravan park on the clifftop. ...being carried by longshore drift, and broaden the beach. 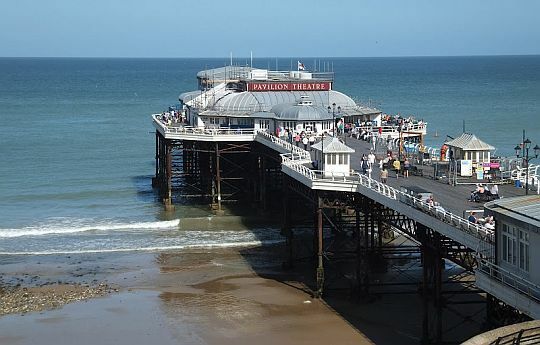 • Cromer Pier is a fitting end point to the walk. Ondanks dat je niet veel kilometers kliffen hebt, is dit een erg mooie route. De zee neemt en de zee geeft . Kusten zijn altijd in beweging. Ze kunnen afslaan of aangroeien. The position of the coastline is constantly changing. 1. In places land is being lost to wave erosion. longshore drift ( kustdrift ) . 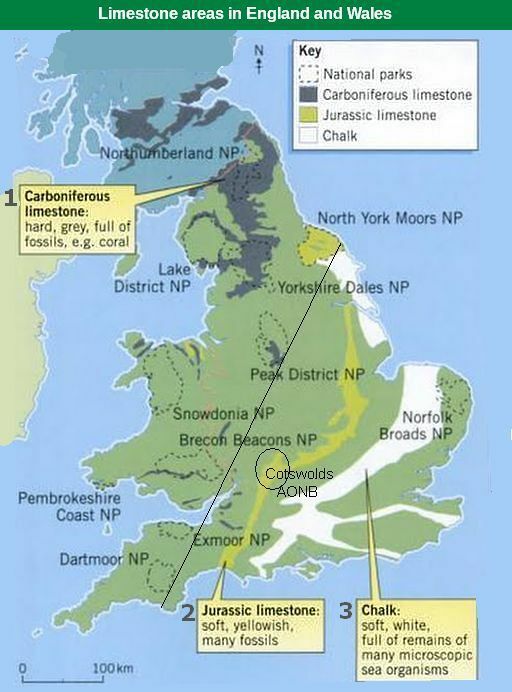 • The main sections with cliffs are shown in the map below. .. Dit is relatief zacht materiaal , dus sterke erosie. ..(= keileem). This is the so called Cromer Ridge. .. Dit is een beboste morenewal die tussen Cromer en Holt ligt. .. 100 m.hoog en bestaat uit materiaal variërend van klei tot rotsblokken. .. tumble down due to their weight. .. - een lange shingle spit ( kiezel-schoorwal ) bij Blakeney. 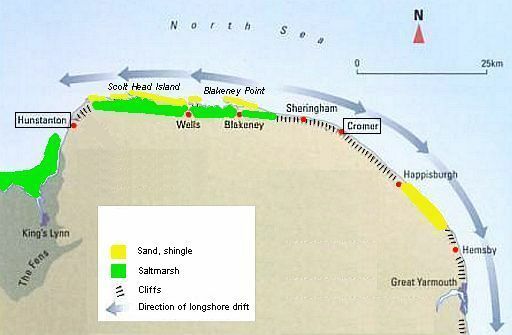 ...longshore drift ( kustdrift ) west of Sheringham (see map). .. west towards .the Wash , contrary to the national trend. 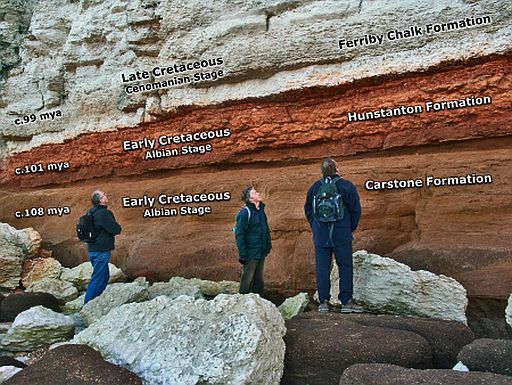 Low (10 - 20 m), striped cliffs in Hunstanton. 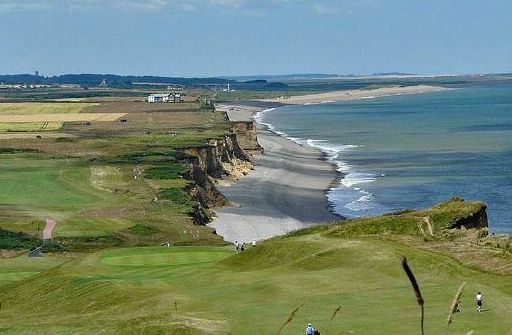 • The cliffs are every bit as striking as they look here on the photograph. .. tween 70 and 125 million years ago. .. Sediments formed layers on the sea bed and slowly hardened into rock. .. hardened layers of rock to form land. .. layer-cake of rocks in the cliffs. .. rolled around on the ancient seafloor. .. It is rusty brown because it contains a lot of iron oxide - literally rust. .. Carstone has been used as a building material for houses. .. (= kalksteen), was deposited on the top of the Carstone. .. places it is found. .. containing. fossil shells, belemnites and Y-shaped shrimps burrows. .. tropical sea when Hunstanton had a climate like the Bahamas. .. actually prehistoric plankton ! .. colour of the red chalk is due to staining with iron. • Wave-cut platform (= brandingsplatform ) and Hunstantons eroded cliffs. • The Chalk ( krijt ) collapses as the cliff is undermined and topples as large blocks. 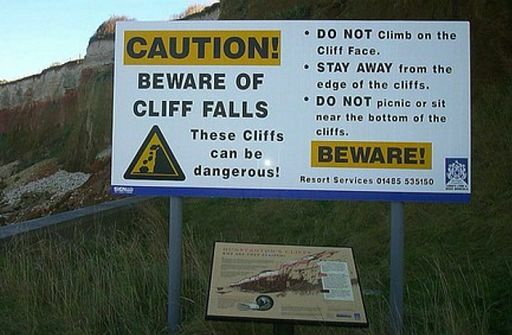 • Beware of cliff falls ! . ....below, so keep a safe distance. .. used. 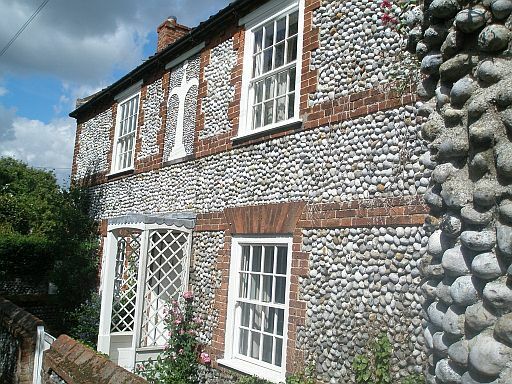 extensively for building in Norfolk. .. with. smaller ‘flat’ hammers to reveal the interior black surface. 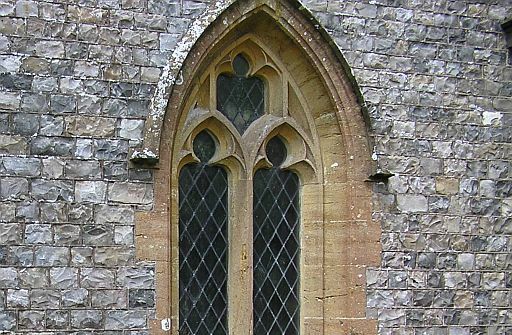 • They were much used in 15th century East Anglian churches. .. hobbelstructuur van door de zee afgeronde vuursteen-rolstenen. • A house in Cley-next-the-Sea. Kwelders zijn begroeide stukken land die direct aan zee grenzen. Ze liggen meestal langs ondiepe getijdengebieden. de planten terecht en spoelen niet meer weg. Door deze opslibbing worden kwelders geleidelijk steeds hoger. Zo wordt het een goede stek voor kweldergras. Kweldergras kan nog beter dan zeekraal zand en slik vastleggen. als Lamsoor, Zeealsem , Gewone zoutmelde en Zulte. .. area of saltmarsch exceeds 3000 ha. .. bankments ( lage zeedijken ) since the mid-seventeenth century. .. 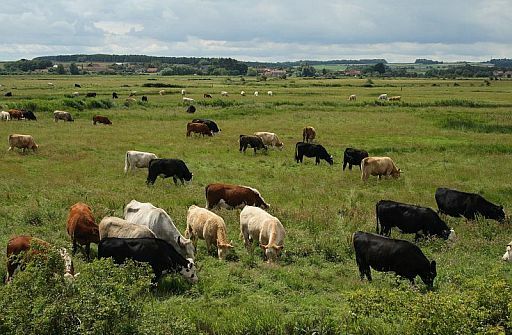 They are maintained mainly by seasonal grazing, principally by cattle. .. Some are arable farmland and some reed bed (rietveld). .. in bays or at the top of long, flat beaches. .. sediment from the shallow offshore waters. 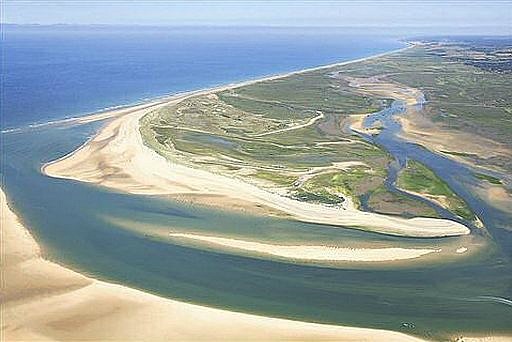 • The saltmarshes (groen) developed in the lee of dunes, barrier island and spit ( geel ). • Dit kaartje is de toestand van voor de inpolderingen. • De kuststrook bij Scolt Head Island. 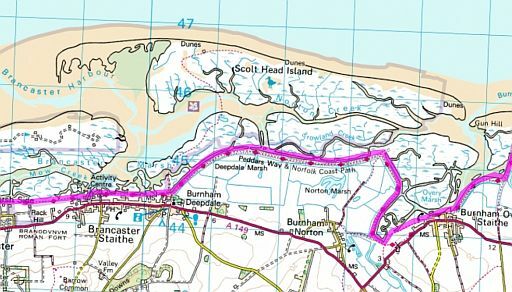 • De magenta streep is de lage zeedijk met daarop het Norfolk Coast Path. Hierboven zie je een stukje van de kuststrook bij Scolt Head Island. .. wad. Bij de Waddenzee in Nederland is dat andersom. .. is wel 10 km. • Saltmarsh ( kwelder) south of Scolt Head Island, seen from the low sea wall (zeedijk). 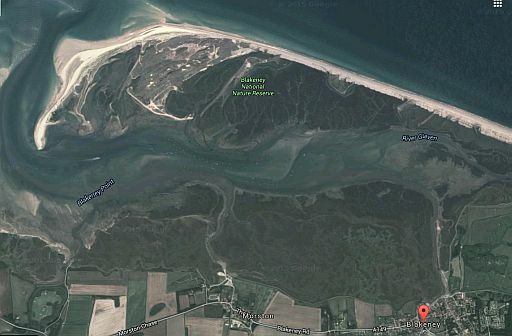 than 600 hectares of varying coastal habitat. .. road used to be saltmarshes ( kwelders). .. a staithe at Holkham village. .. constructed by local landowners. .. tares of saltmarsh had been converted to agricultural use. .. separates seascape from farmscape. .. farmland from windblown sand. 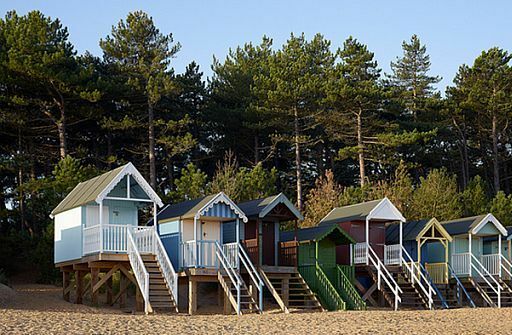 • The beach huts are on stilts to protect themselves against flooding. • Links buiten de foto is een heel groot zandstrand. • De duinen liggen boven op een kiezelwal. Ze zijn begroeid met Helmgras en dennen. 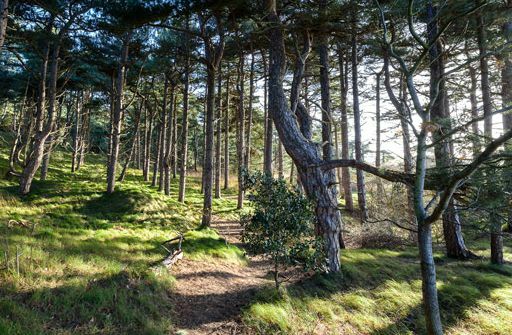 • The dunes were stabilised by pine plantation in the 19th century. .. 1. Corsican Pine ( = Corsicaanse den ) : .. grijze stam .. en .. kleine kegel. .. 200 meters in width and about 10 metres in height. particles can rub together and break apart. they take less energy to move. 2. Dunes have built up on the shingle ridge near the headland. They have classic examples of plant succession occurring on them. can have a wide area to spread around. yellow dunes enabling less xerophytic plants to survive there. spread out very far so the plant can be anchored in place. sea protection because it absorbs the energy of the waves well. Spartina (Slijkgras geslacht) and Salicornia (Zeekraal geslacht). .......................... een lange, smalle landtong. ............................ a spit whose outer end is turned landward. • Recurved spit (= gebogen schoorwal). • Blakeney Pit en Blakeny Channel zijn channels (= geulen). 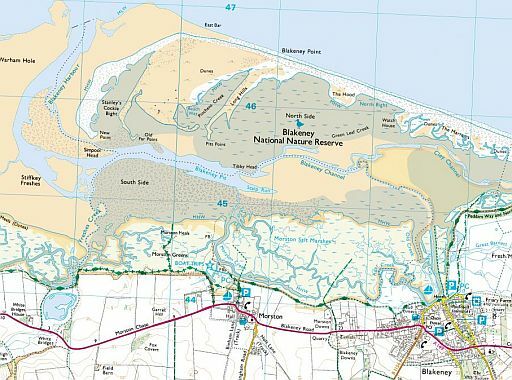 • De waterlopen op de kwelder vlak bij het Norfolk Coast Path zijn creeks (= kreken). 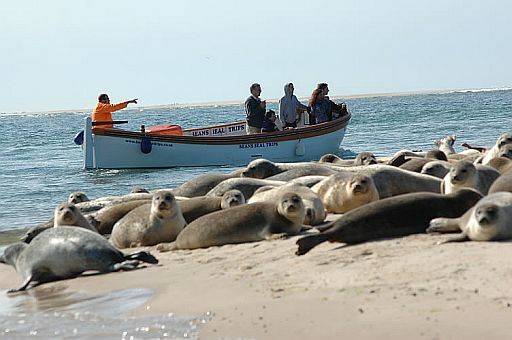 • Blakeney Point, the sand spit which has the largest seal colony in England. 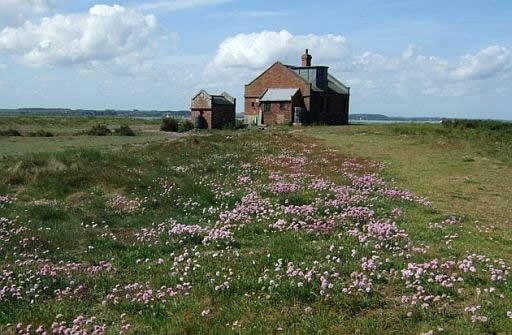 • Blakeney Point, the watch house.
. Blakeney Point to see the hundreds of seals and a tern colony. 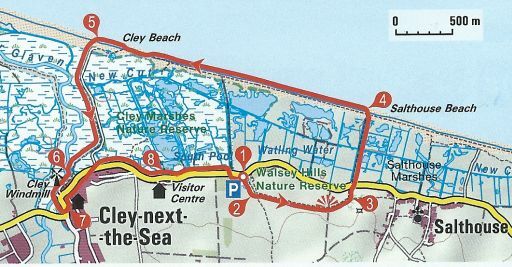 .. After that have a picnic and walk back along the beach to Cley. .. ( Grijze zeehond ). 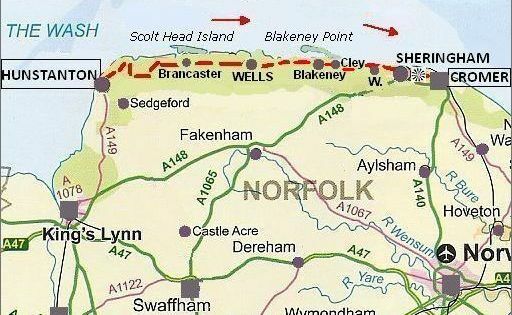 10 km from Weybourne to Blakeney Point. serve, which covers a large area behind the beach. 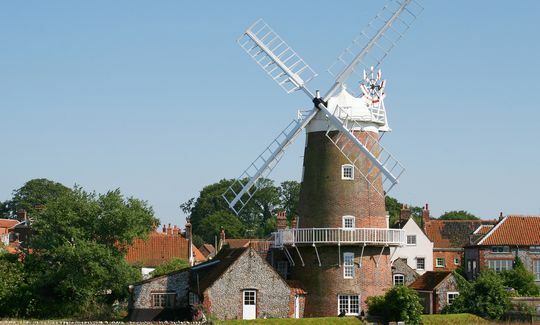 It is one of Britain's best places for bird watching. 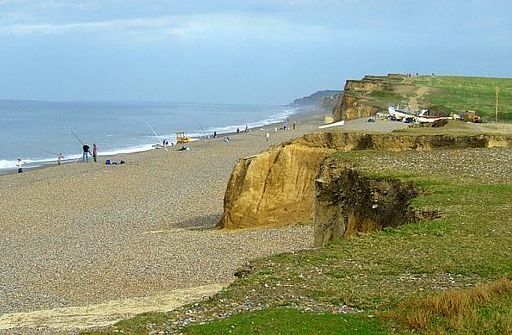 Low (10-20 m) cliffs in Weybourne Hope and further. The shingle beach ( kiezelstrand ) is here quite steep. 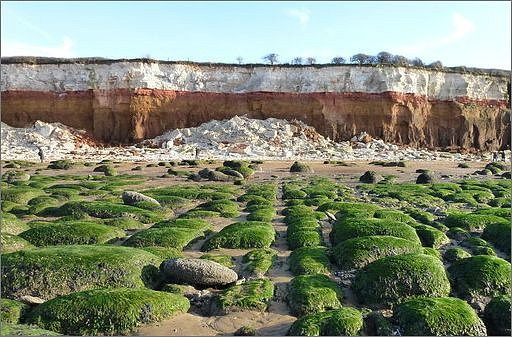 boulder clay ( keileem) and are even more crumbling than the cliffs at Hunstanton. little higher (10 - 20 m). • Hier bij Weybourne Hope begint opnieuw een aktief klif. • The beach rest against the retreating (terugwijkende) cliff. .. They are even more crumbling than the cliffs at Hunstanton. ... ( They erode at an alarming rate of up to 2.5 metres a year) .uunstanton. provide a wonderful habitat for birds. The trail turns inland across farmland for a short while as it approaches Brancaster. and the round Saxon tower of St Mary’s Church can be visited. section of marshland and tidal creeks on the way to the old seaport of Burnham Overy Staithe where the tiny River Burn reaches the sea. 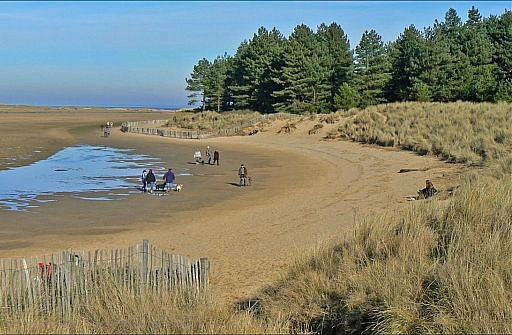 Continues along mudflats to the beaches of Holkham NNR. You may see some black peat beds on the beach at low tide. These are the remains of an ancient forest. 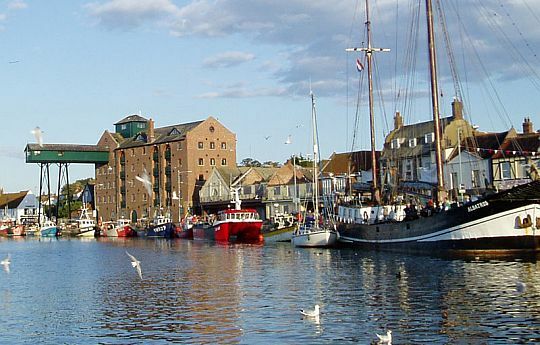 Wells-next-the-Sea, a beautiful seaside town. 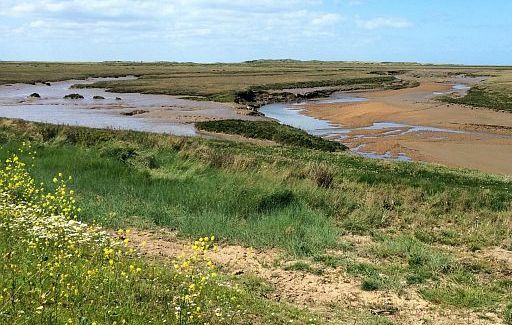 Through the remote saltmarshes to the hamlet Stiffkey. 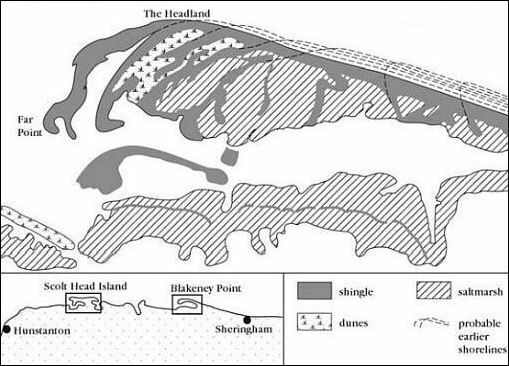 expanses of Blakeney Point NNR. a fabulous place to admire the reedbeds of the Cley Marshes . Cley-next-the-Sea a full mile from the shore. high ground above meadows which were once the harbour. towers over the old quay. reappears for about 250 metres. cliffs fronted by a steep shingle beach. can see where whole chunks have peeled off. sands and gravels. This is a moraine created in the last ice age. 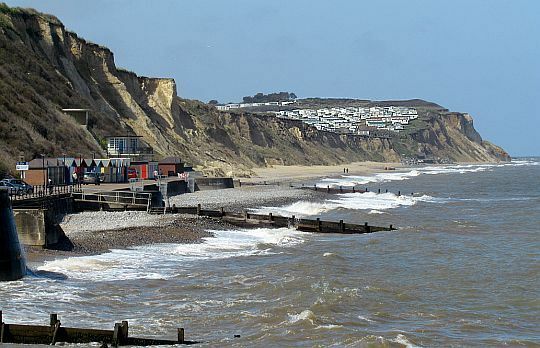 form of West Runton and East Runton static caravan parks. great sense of achievement ! 5. 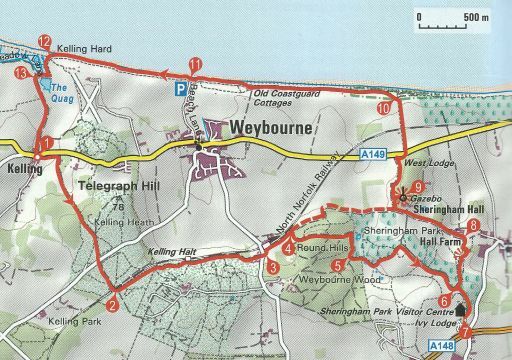 Weybourne ― Cromer ....13 km. .....Scheur de onderste helft van de kaart af. .....die heb je niet nodig. .... Je kaart wordt dan veel beter hanteerbaar. op de markt verschijnt, kun je die beter kopen.